If Julia Cordray and Nicole McCullough genuinely expected their people-rating app to be a place for glowing recommendations rather than unbridled negativity, they're learning the hard way that folks don't play nice on the Internet. 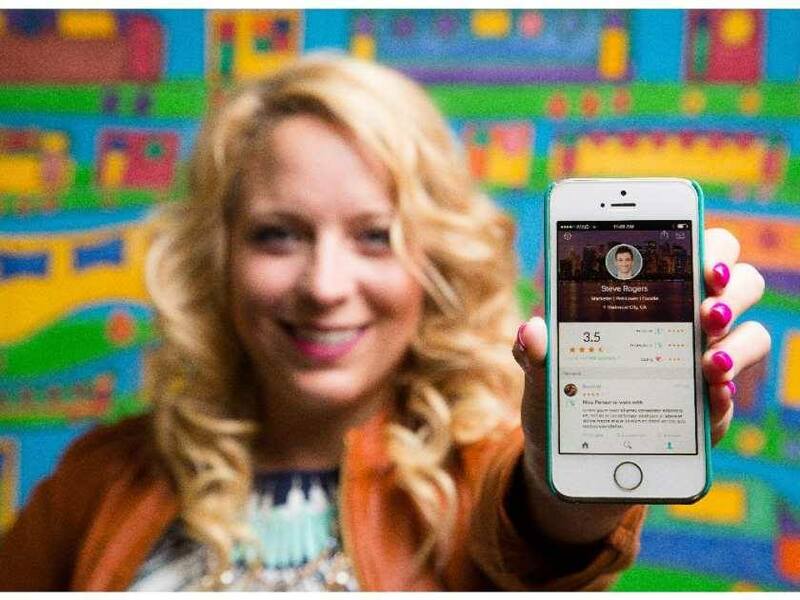 Peeple, likened to a Yelp for humans, lets people leave reviews and ratings (one to five stars) for other people. If the person you want to review isn't registered on the app yet, you can add him or her to leave your review by providing their cellphone number. Peeple wasn't scheduled to launch until November, but vocal denizens of the web are already giving it zero stars. "At least I signed up to have the world judge and grade me publicly," model Chrissy Teigen tweeted Thursday. "I f***ing hate this app and the boardroom table it was created around." Never mind that no one has actually used the app yet: Teigen's sentiments were part of a tidal wave of social media vitriol hurled at the cofounders, whose stated mission, according to the app's Facebook page, is "to find the good in you." "We are bringing integrity into an online reputation management system," Cordray told "Alberta Prime Time." The app uses Facebook for login to verify that all users are over 21 and posting under their real names. No anonymous bashing allowed. Good reviews -- three stars and better -- post instantly. Negative reviews are held for 48 hours to allow reviewer and reviewee to work out their differences. "If for some reason you can't turn a negative into a positive, that comment does go live after 48 hours and you have the right to publicly defend yourself," Cordray told the Alberta news show. "Our app does not tolerate any sort of bullying and anything inappropriate. This is two people -- two real people -- facing each other and having the right to work something out." Perhaps you could chalk up her optimism to a Canadian disposition. But her backers must have seen something in the idea. The Washington Post estimated the company's value at $7.6 million. McCullough came up with the idea as a way to learn more about the "true character" of her neighbors in a townhouse complex in Southern California, and her children's teachers. She and Cordray, her best friend and business parter, say they developed the app mainly for parents who want to know about the people with whom their kids are interacting, urban online daters who want to know what they're getting into before the first date, and professionals who want prospective employers to know how much they were liked at their last job. But the general public sees an open forum for unbridled attacks -- online interactions not as they should be in an ideal world, but as the really are, in this one. On the site's Facebook page, dissenters posted comments such as, "You have created something so dark and vile that it may cause people with low self esteem to hurt or kill themselves. This app shouldn't be allowed on the market. It is a disgusting idea and I pray it doesn't go forward." The founders countered with excerpts from positive emails they've received. Comments by People who email us:"I find this app interesting that you would want to be a better person. Be able to show others how to treat others with respect. Caught my interests. "Patrick B. They were more active on Twitter, responding to what they considered bullying. Though they tweeted an aggressive reply (complete with an expletive) as late as Thursday morning, at the time of this writing the @peepleforpeople Twitter account appeared to have been scrubbed of any tweets from the fray. The app's website, forthepeeple.com, was down Thursday morning and afternoon. It was not clear if it was taken down intentionally or downed due to an overload of traffic.